Positive future for health information exchange on the way? Even with the increased adoption and meaningful use of EHR technologies, current attempts at healthcare reform will not avoid history repeating itself unless the EHR adopters participate in health information exchange (HIE). Otherwise, it is simply the condition of adding new solutions to those that came before them. Recent developments in healthcare and health IT are beginning to inspire confidence that HIE is trending in the right direction. Earlier in the year at HIMSS13 came the announcement of the CommonWell Health Alliance aimed atincreasing EHR interoperability and data liquidity, and more recently came word that Healtheway, the operator of the eHealth Exchange (née NwHIN Exchange), had named its nine founding members and intentions to make ubiquitous HIE a reality. Like the leadership of Healtheway and other healthcare and health IT stakeholders, Kirschner is confident that the conditions will be ripe for the exchange of health information to flourish in the coming year. Although the Office of the National Coordinator for Health Information Technology (ONC) punted on the matter of issuing regulation for HIE governance in favor of allowing public and private stakeholders to sort things out, the federal agency did not eliminate the possibility of it stepping in. The industry clearly wants to make this work. Everyone knows that if that doesnt happen, then the ONC will have to come in and regulate, claims Kirschner. What is actually more encouraging is word from healthcare organizations and their leadership about their belief in the need for HIE. At a recent meeting of the College of Healthcare Information Management Executive (CHIME), Kirschner recalls hearing a panel of healthcare CIOs asserting that they would be competing on quality rather by siloing data. What remains for transforming this enthusiasm for data sharing into actual HIE adoption by way of the eHealth Exchange is getting healthcare organizations and providers onboarded. That is precisely where Orion Health is focusing its energy in partnership with Healtheway. 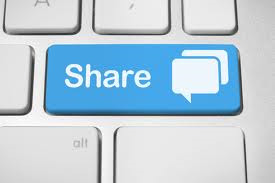 With health IT collaborations coming together to resolve the connectivity problems in the way of real HIE and true EHR interoperability, it appears that the technology should be in place and that healthcare organizations and providers must commit themselves to the idea that sharing is caring.